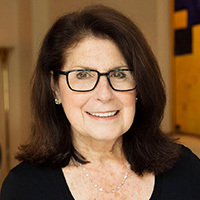 Susan Greenfield, CIPS, CLHMS, CRS, FIREC, began her career in New Jersey. In 1980 she joined Merrill Lynch Realty and over the next 10 years assisted with the acquisition and integration of 480 real estate companies across the United States, which were wholly-owned and operated. She developed international marketing and branding materials and initiatives for the firm’s 10,000 agents. In 1990 Susan organized her own New York City based firm, Jean-Marc Levet & Partners, with offices in New York and Paris. In 1996, she merged into Brown Harris Stevens. Susan served as Chairman of the National Association of Realtors (NAR) International Operations Committee. She is the 2017-2018 President of FIABCI USA; NAR President’s Liaison to the Netherlands; a member of the NAR CIPS designation faculty; and a director on the International Board of FIABCI.